Two state legislators will be on hand to discuss the upcoming legislative session on Oct. 25, from 11:30 a.m. to 1 p.m. at Sam Houston State University in the James and Nancy Gaertner Performing Arts Center. Texas State Reps. John Otto, R-Dayton, and Charles Schwertner, R-Gerogetown, will answer questions at “The Hot Seat in Huntsville,” presented by The Texas Tribune, a nonprofit media organization based in Austin, and SHSU’s department of mass communication. Evan Smith, editor-in-chief of the Texas Tribune, will lead the conversation with the legislators for approximately 30 minutes before they take questions from the audience. Otto was first elected in 2005. He currently sits on the house appropriations committee and served as chairman of the general government and criminal justice subcommittees. He also served on the conference committee for the state budget and as vice chairman of the house committee on ways and means. He also serves as vice chairman of the budget and revenue committee for the National Conference of State Legislators and is a member of the Energy Council. 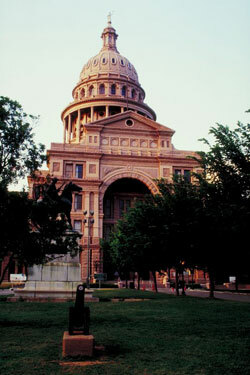 Schwertner is the Republican candidate for Texas Senate District 5, a seat currently held by retiring Sen. Steve Ogden. Schwertner is a managing partner and practicing physician at Georgetown Orthopedics, PLLC, which provides annual care for 20,000 patients. He has a pharmacy degree from the University of Texas and a medical degree from the University of Texas Medical Branch. The Texas Tribune is presenting a series of conversations with legislators across the state prior to the upcoming session. The series is sponsored by AT&T, BP, Christus Health, and Raise Your Hand Texas and is underwritten by the KDK Harmen Foundation. A light lunch will be provided for those who have made reservations. For more information about the event or to make reservations call 512.716.8641, email rsvp@texastribune.org or visit texastribune.org/events.